To kick off our conference this year, we will provide an in-depth interview with Craig Whitney of the Fargo Morehead West Fargo Chamber of Commerce. Larry Dowell will sit down for an informal interview to discuss the accomplishments of the chamber, how the chamber increased membership throughout the years based on public policy engagement, how events play into public policy programming, and why membership retention rates have skyrocketed utilizing public policy as a basis. Being an advocate on local, state and national issues is always controversial for chambers but essential if your chamber is going to be relevant in the long run. Barry will talk about lessons learned on some of the local ballot issue campaigns he has run. Each challenged the Chamber to its core but the organization always emerged stronger and more relevant. ACCE's Horizon Initiative explains eight influences that will shape champers of all sizes over the next decade. These initiatives help your chamber predict the influences that might shape chambers and their regions over the next decade. After publishing the original eight influences, ACCE added the ninth influence - the Limitations of Government. Fleming discusses the strong connection between policy work, bold positions and sustainable revenue. He examines the impacts of political fragmentation, as well as the growing limitations of governments to solve problems. Hone your voice as a community and business advocate. Mick will dissect the Ninth Influence. You will leave with a path for your organizations role in the future of government and solutions on how you can lead the way. The Minnesota Chamber had unprecedented success in electing pro-business candidates to the Minnesota Legislature the last two election cycles. The reasons for that success are many, including a strategic and unified effort among the state’s leading business and trade associations; a well-funded independent expenditure fund, Pro Jobs Majority; a vibrant political action committee and grassroots participation by local chamber leaders across the state. Local chamber leaders have proven key partners in providing intelligence and guidance on the viability of candidates. Polling and effective voter messaging were also essential to their success. Regardless of your state’s election laws, this model will provide ideas for you to implement in your organization. 2:15 pm: Pick your Involvement – Based on how involved your chamber has been or wants to be in the political process, there is a topic for you. Pick the session you need to attend based on your chambers advocacy goals and experience to make sure you get the most out of the session. 30 minutes of education from a seasoned government affairs veteran and 30 minutes of your questions will help you learn the first steps for getting involved in the advocacy arena. 30 minutes of education from a seasoned government affairs veteran and 30 minutes of your questions will give you the latest information for influencing action. Every session from the lawmakers brings new attacks to business owners across the country. A former chamber volunteer and business owner turned state representative, Dave will give you a behind the scenes view for predicting issues that may arise from new legislation coming from across the region. Relax and socialize with the leaders from the six state MACE region while taking in the laidback vibe of the city at a one of the best local places for food and drinks. The Citizen is one of the newest lounge/bar atmospheres in St. Paul. Come and mingle with other leaders. Cash bar with light appetizers provided. New Bohemia Wurst and Bier House is the transformation of a traditional bier hall into what they like to call the “New American Craft Bier Hall” pouring 36 of the finest local and International Craft beers in the country. New Bohemia features over 24 different all natural sausages made right here in Minnesota. Buns and pretzels are made by hand in the traditional German style. Fries are hand-cut every day and all sauces, mustards and toppings are made fresh in every restaurant. Adjacent to New Bohemia is Saint Paul’s newest hot spot, the Seventh Street Truck Park. After dinner, we’ll venture over to enjoy music and drinks. Representatives from the biggest names in the railroad industry will be on hand to illustrate how large scale transportation projects and multi state companies can affect local policies. See some of the upcoming projects that will be taking place in the MACE region and learn how you can be prepared to steer public opinion. 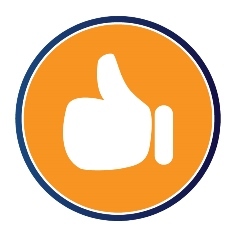 Candidate surveys and questionnaires are a useful tool for chambers – even those who do not endorse candidates for public office. 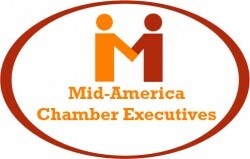 John Kirchner, Executive Director of the Midwest Region for the US Chamber of Commerce, will discuss the importance of candidate surveys and questionnaires and how chambers, regardless of size or political involvement, can leverage them for voter education. 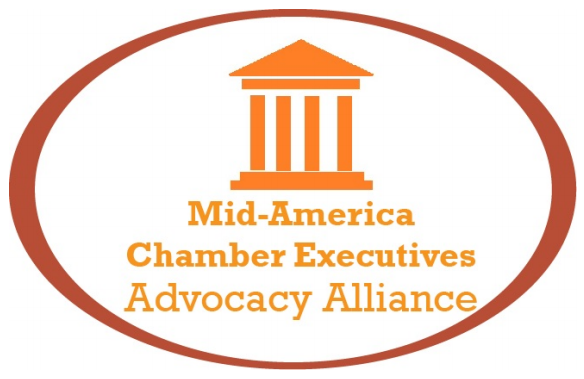 10:30 am: Facilitated Conversation: MACE Vice Chair Blake Fry and Sioux Falls Chamber President Jason Ball will lead a conversation about the direction the chamber industry is heading. How advocacy can help us build a better business environment and the next steps we all will need to take to be successful. Get ready with your questions for this leadership session.